A year ago this site was hacked and the Where I Slept series went on hiatus. I’ve decided to resurrect it where I left off last year, on my way across China into Tibet. 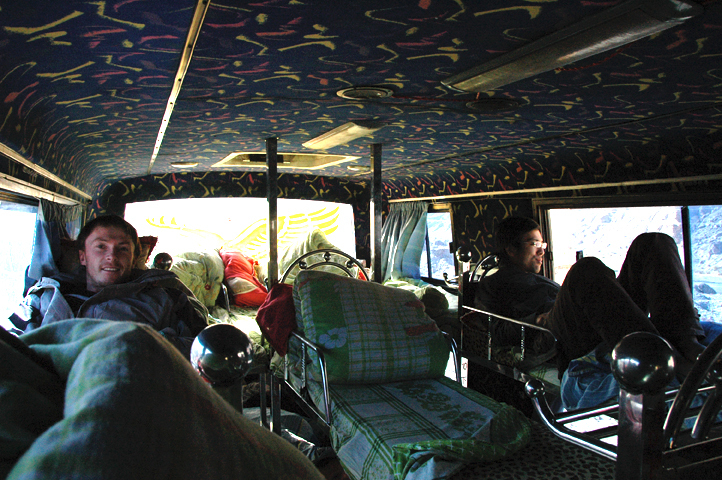 After a nearly sleepless night on the train to Dunhuang, and another sleepless night on a sleeper bus to Golmund I finally got a chance to sleep on the Tibetan plateau. My original post has a few more details about the long ride. If you’re new around here, old Where I Slept entries can be found here under the “Where I Slept” category. Although I waited around for a sleeper train for a few days this leg was totally full. 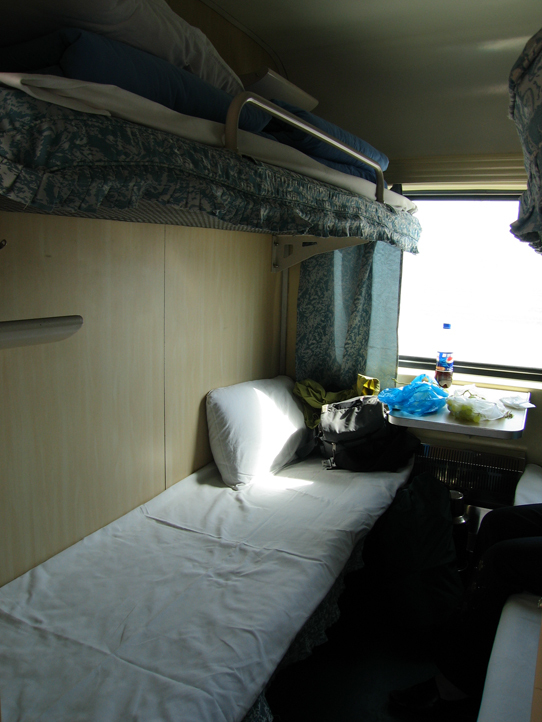 I finally gave up and decided it was time to have my hard seat overnight experience in China. I sat at a table with four seats. 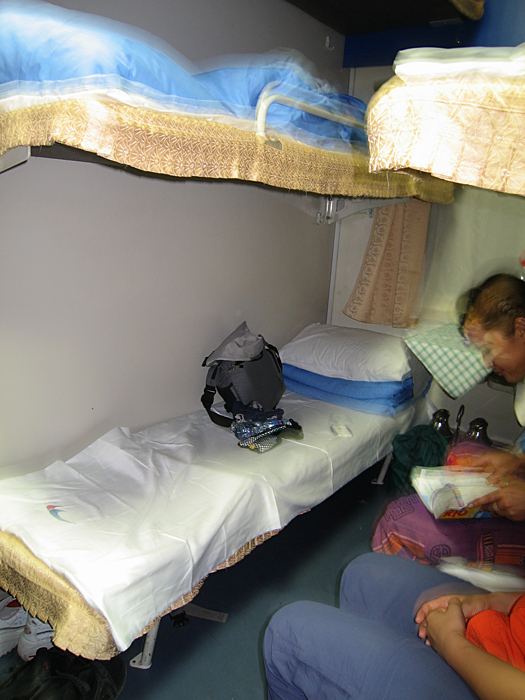 It was impossible to sleep with the lights on and the shuffling of passengers coming and going. When I got too tired to keep my eyes open I nodded off for a few minutes only to open my eyes and see completely different people sitting across from me. A particularly memorable pair of passengers was two women who spent their time across from me playing their phone’s ringtones at full volume to pass the time but I also had men spitting out sunflower seeds, friends talking and families eating steaming ramen. It would have been easy to chalk it up to an experience if I didn’t have an entire day of waiting around Dunhuang in store for me before my connecting bus on my way to Tibet. 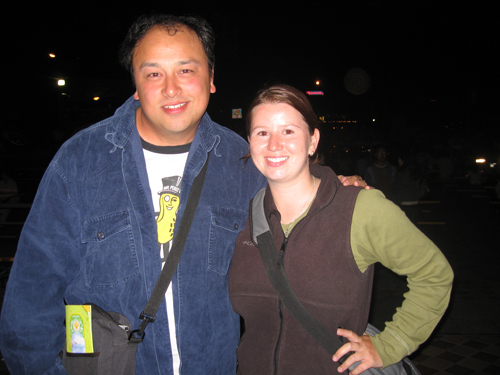 I met David first back in Mongolia but the first time I came through town he was somewhere in Western Mongolia. 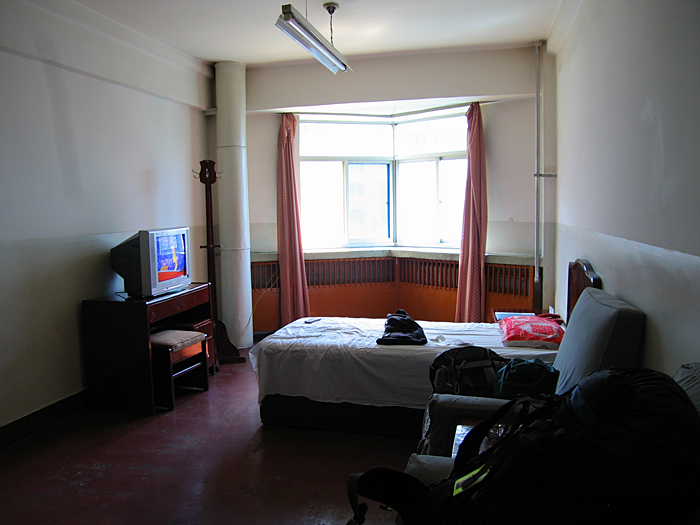 This time around our schedules matched up and I took a bus over to his apartment next to Xinjiang University. After four months on the road staying at David’s apartment with a couch, kitchen, washing machine Mac-friendly wifi and wonderful roommates was just what I needed. We quickly got to work getting massages at his favorite place, going to dinner and meeting up with his ex-pat friends for a game of ultimate frisbee. I could have breezed through Urumqi in a day but after so long on the road you start to appreciate a rest here and there. I spent my days walking around town looking for fabric to patch my pants or a way to watch the newest Superman movie in English and my nights hanging out with David and his friends. One of the only bad things that happened while I stayed in Urumqi was forgetting my travel towel at his place. I received it back three years later when David visited Chicago. There are a handful of people I met on my trip that I consider friends and David is one of them. 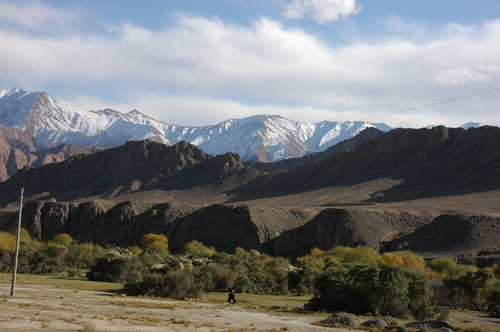 We’ve met up in Mongolia, China and the US and he’s gone as far as to track down people in Tajikistan for me. Hopefully the next time we meet we’ll be somewhere new to both of us. This is the same hotel I stayed in the first time I was in Urumqi and I thought it was easiest to go there since I knew where it was and what the rooms went for. 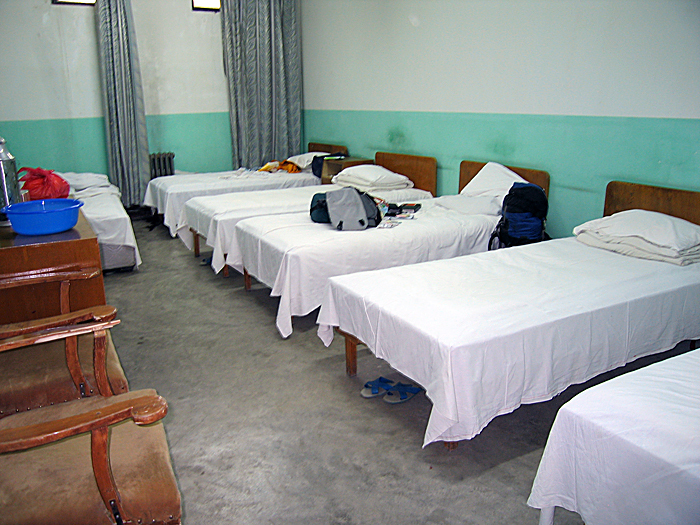 After the rough travel I put myself through in Central Asia I was ready for a bed with sheets and my own shower before heading into Tibet. I got in touch with David, who I met through this site and had dinner with in Mongolia in June, about couchsurfing while I was in town then hit up KFC for a chicken sandwich and was once again able to access the internet. 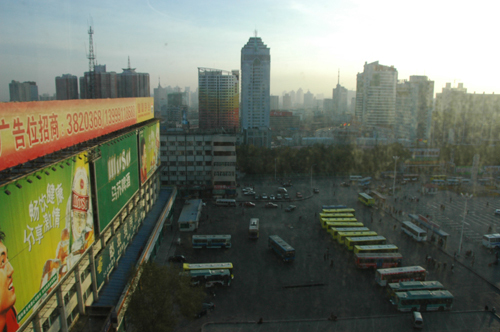 It was nice to be back in Urumqi, a place where I had figured out the bus routes and where the best internet shops were. I did run into some more difficulty this time with the internet girl asking for my passport before giving me access. I don’t carry my passport around (although you’re supposed to by law in China) so I just feigned ignorance and managed to get on after giving a fake name. I had no reason to conceal my identity but there’s something that bothers me about it and I derived great pleasure from giving them the name of a common American celebrity. This was my second time on this train and this time it was almost totally empty. 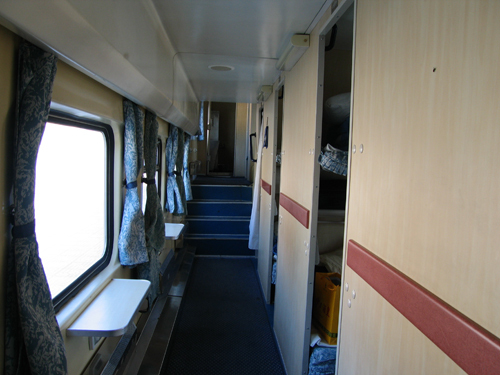 I shared my 4-bed compartment with a middle-aged woman was quiet and courteous. 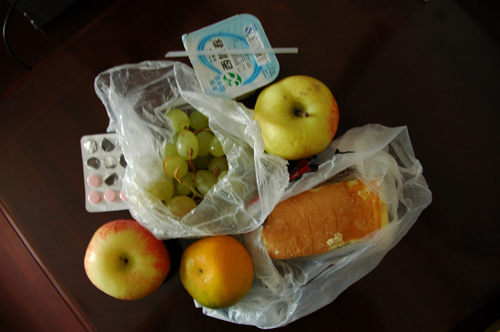 She noticed I had a cold and insisted I take a few different kinds of medicine she had with her and kept giving me more food to eat. When I fell asleep on my bed during the day she tucked me in. Next door was a family with a teenage girl who spent half of the ride practicing her English with me. She was an above average English speaker compared to most people I’ve spoken to in China and we were able to communicate well enough for me to get something out of the conversation. You can see by the price that it was an expensive train and it was in better shape than most. This track is relatively new and there are only a few stops in-between the two cities. Traversing the desert before this train existed must have been quite a journey. 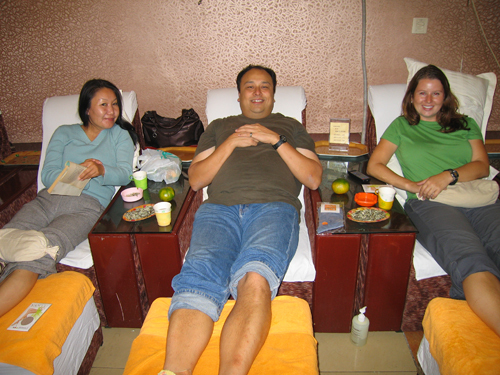 When I first arrived in Urumqi I was traveling with the Taiwanese woman I met in Jiayuguan. 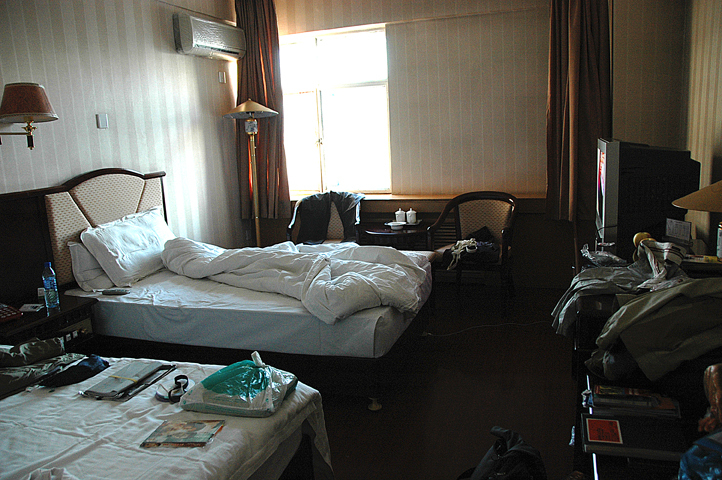 The first hotel that we tried was full and calling around it seemed that most of the tourist-grade hotels were booked. 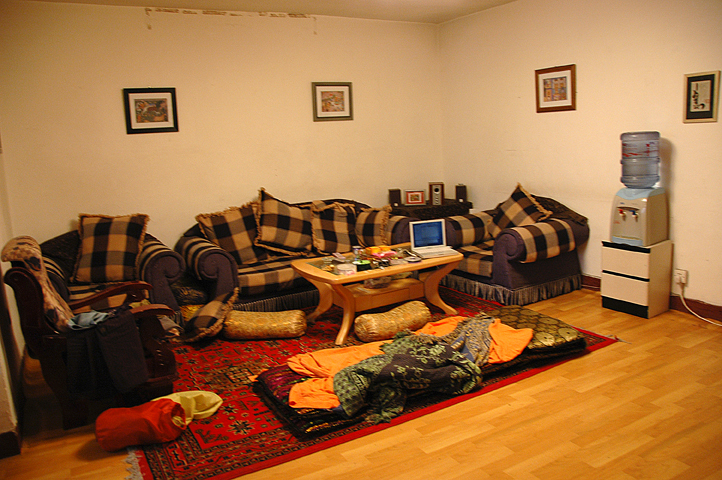 We took suggestions from a few European travelers we met in the lobby who knew of a cheap hotel. Since my friend spoke fluent Mandarin I let her lead the way across the city. It was nice to finally let my guard down and follow someone else’s lead which allowed me to stand back and watch the way locals reacted to her. Everyone we passed on the street or on the bus couldn’t stop staring at her. For the first time in China I felt ignored. We ended up near the train station but got lost. When she called the hotel for directions we were directed right into the path of a man in military uniform who questioned my friend’s intentions. He decided that she was a foreigner and would not be allowed to stay in the hotel we were looking for. 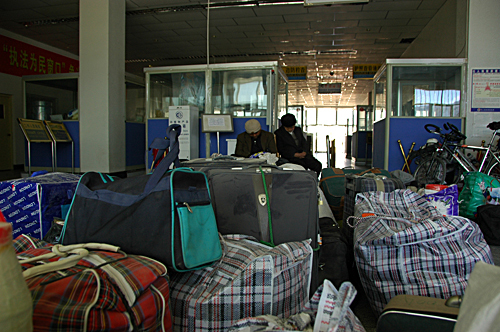 The Chinese government has loosened most of its restrictions for foreigners except in Tibet and Xinjiang Province. It is still impossible to stay at a hotel that hasn’t been cleared for foreigners and I was often asked to show a passport before using the internet . We ended up at a high rise hotel next to the train station which was much more expensive than we were used to but, quite frankly, I was in need of a rest. After 104° heat in Turpan and a stomach bug that left me incapacitated for a day I was ready to stay somewhere with a shower and TV while I applied for my Kyrgyz visa. This was a nice hotel, really, but the woman I was traveling with and I asked what cheaper options they had. The staff in the fancy reception area hesitated and finally revealed that they did have cheaper rooms in a building out back but they were hardly suitable for foreigners. “Sounds perfect!” we said. This concrete bunker behind the hotel was perfect, in fact, because it was below ground and at 104 degrees with no air conditioning staying underground helped tremendously. On the down side, the bathroom was a cement outhouse across the parking lot which was inconvenient when I caught a horrible stomach bug. I often found myself running from the bunker, through the decorated tents where a local song and dance act performed for tourists and across a parking lot at inconvenient times?like midnight, well after all of the lights had been turned off. This meant that I had to find their shoes and clothes in the dark, not waking the other people sleeping in the room and remember to bring the key, a flashlight and toilet paper. To add to the song and dance we were issued shower coupons (one a day! ), which needed to be used during a specific pre-determined times. 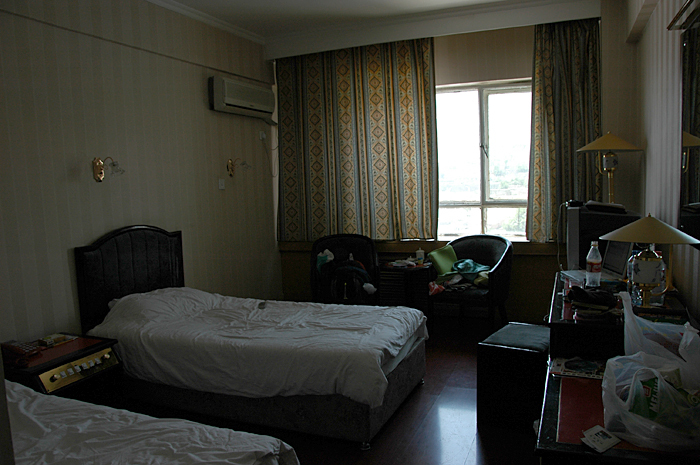 In the photo you can see a plastic bowl and hot water thermos that is customary in lower end Chinese hotels. I’m not sure if the hot water is meant for washing or drinking but I did appreciate the little customs like that which you come to expect in China. 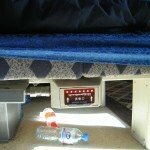 This sleeper train took us from a town about two hours outside of Dunhuang to a town about one hour outside of Turpan. The train line wasn’t laid down in the most convenient route for tourists but its relatively easy to find a minibus to make the rest of the journey. This train trip was only about 10 hours, not including the extra three hours of connecting buses. 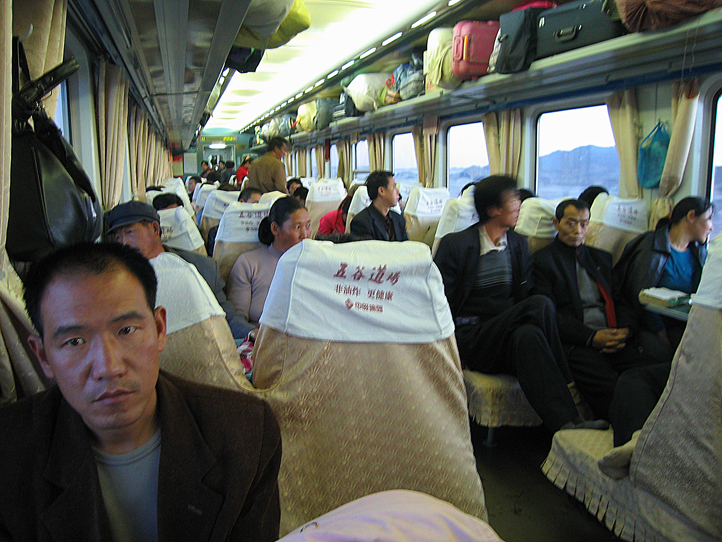 Two days earlier I met a Taiwanese woman getting off the overnight train between Lanzhou and Jiayuguan. 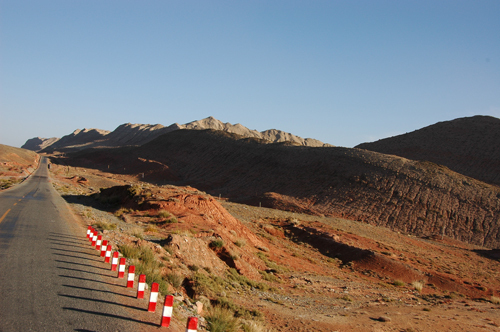 We shared a taxi around Jiayuguan tourist sites and a bus to Dunhuang at the end of the day. 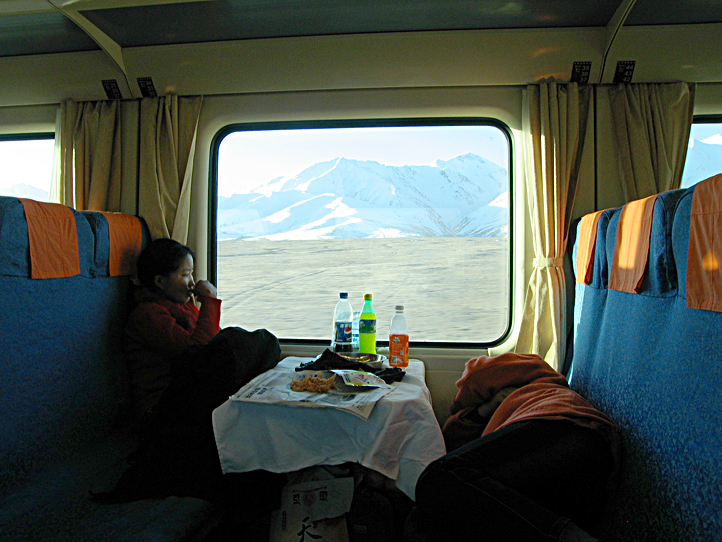 We traveled together on this train to Turpan, meeting up with a man from Paris who we would pal around with for a few days. During this train trip I slept across from a Chinese lawyer who gave me his business card “just in case.” The Chinese who saw me talking to the Taiwanese woman were fascinated and treated her as much as a foreigner as me while, at the same time, insisting Taiwan was part of China. 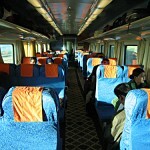 Although Turpan was around 104F (40C) the train was air conditioned and we didn’t feel the “furnace of China,” as its called, until we stepped off the train. 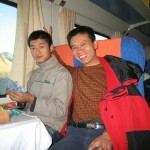 Lanzhou is one of those places that you don’t really want to go to but you end up passing through because its a rail hub. I ended up stuck here in 2004 and can confirm that, even in 2006, McDonalds did not come this far Northwest. They still had KFC though! I ran into two other foreigners there (the first I’d seen since Mongolia) and we got KFC together. They weren’t big fast food eaters but Lanzhou was their first stop after leaving Tibet and were dying for some Western food. Everyone in the KFC watched us eat and a few little girls came over and asked to take photos with us. With a day to kill I tried to catch the newest Superman but all of the theaters were showing it dubbed in Chinese. There’s actually a nice park developed along the riverside that’s good for people watching. It had a small exercise area where people played ping pong and used those funny public exercise contraptions that you see all around China. This room was nice. Even though it was plain it had a bit of decoration and was very clean.